Aren’t these the cutest!? We are big Nutter Butter fans around here so any chance we get to make something with Nutter Butters, we are all over it! 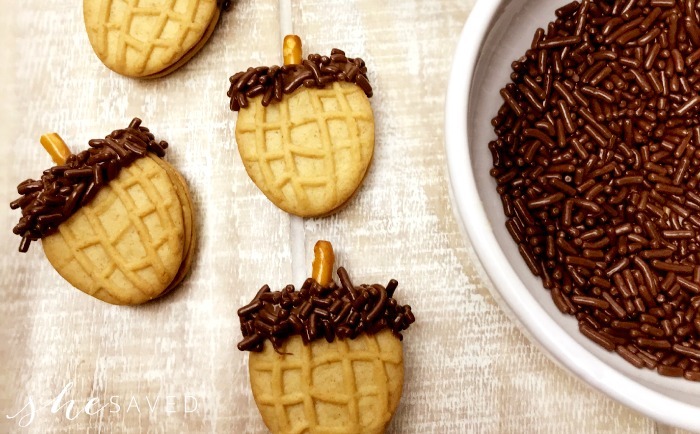 These fun and very easy Nutter Butter Acorns are the perfect little fall snack and recipe because not only are they darling, they are delicious! 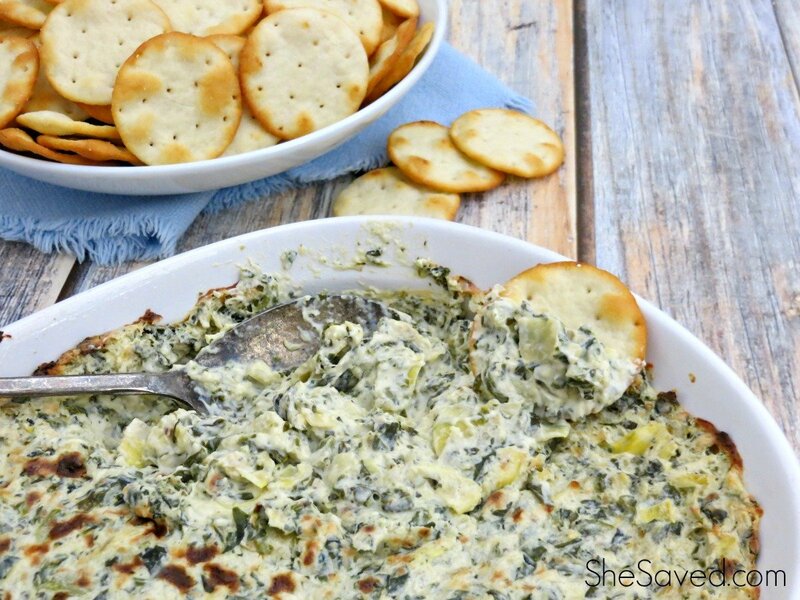 I really enjoy recipes like this because they are perfect for little hands and great for teens and tweens as well. My daughter made these last year for a neighbor as a thank you last year and it was the perfect little gift. Prepare a plate or baking sheet with waxed paper. 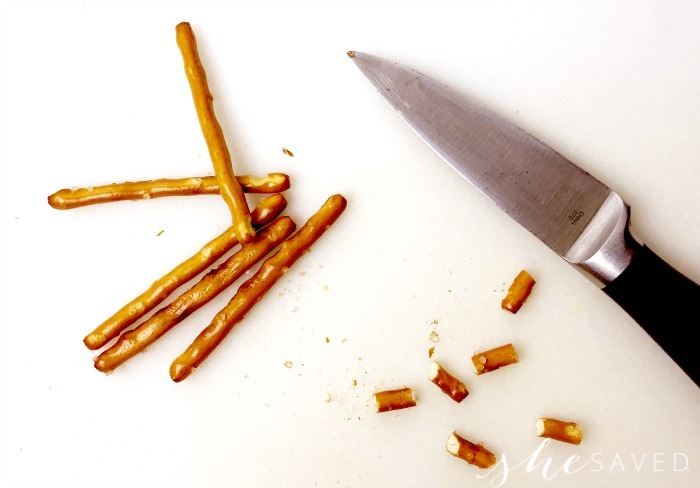 Cut each pretzel stick into six pieces. These will be the stem of the acorn. Set aside. 3. 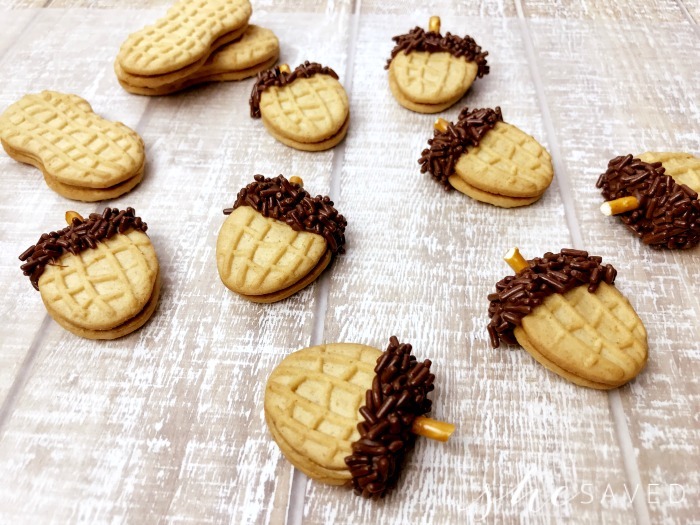 Carefully cut each Nutter Butter cookie in half using a sharp knife to create two acorn cookies from each Nutter Butter. 4. 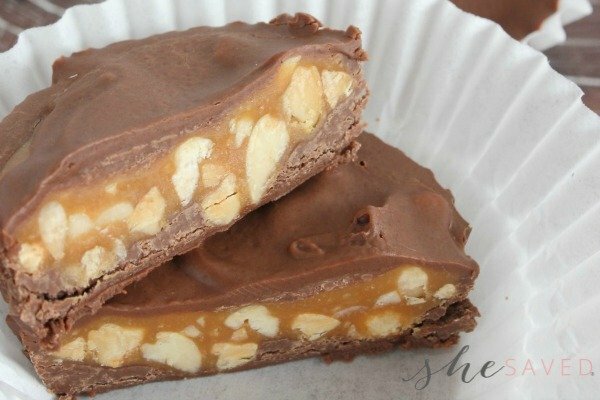 In the microwave, melt the milk chocolate morsels in a small microwave-safe bowl on high in 30 second increments, stirring well between each cycle and giving special care not to overheat the candy. If the chocolate is overheated or comes in contact with water, it will seize up and be unusable. 5. Dip the cut end of the Nutter Butter cookies into the melted chocolate to coat about ¼ inch of the cookie. 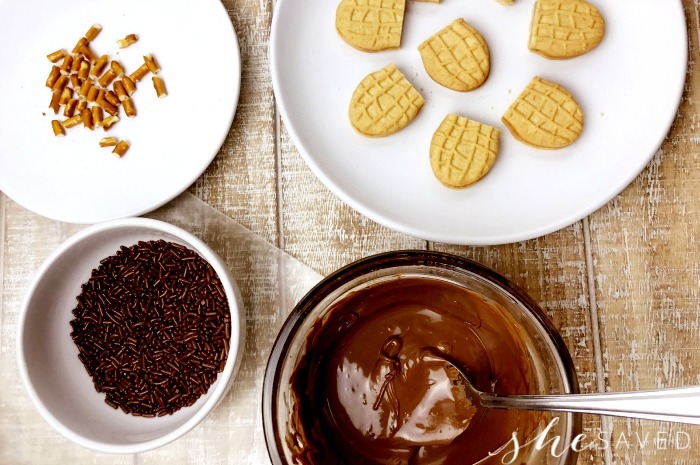 Immediately dip in chocolate sprinkles. 6. Place a piece of pretzel stick into the middle of the cookie edge. You may need to shift the sprinkles slightly to make space. If the pretzel piece will not stick, dip one end of the pretzel stick into the melted chocolate and attach again. 7.Put the acorn cookie on the waxed paper. 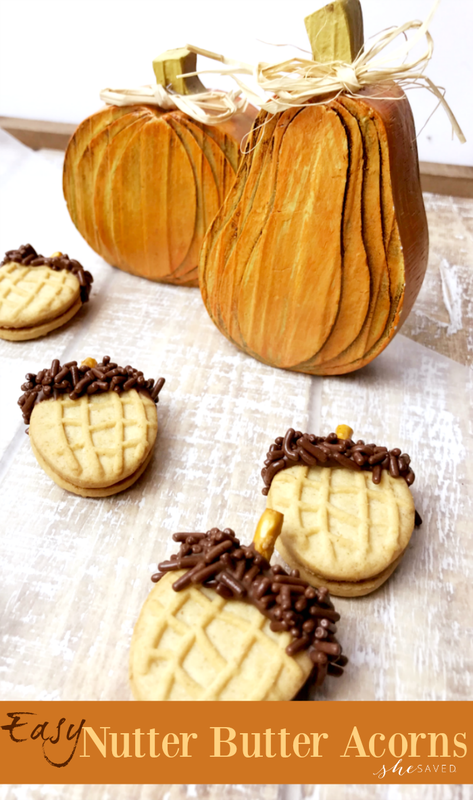 When all cookies are dipped and decorated, place in the refrigerator or freezer until the chocolate is set. 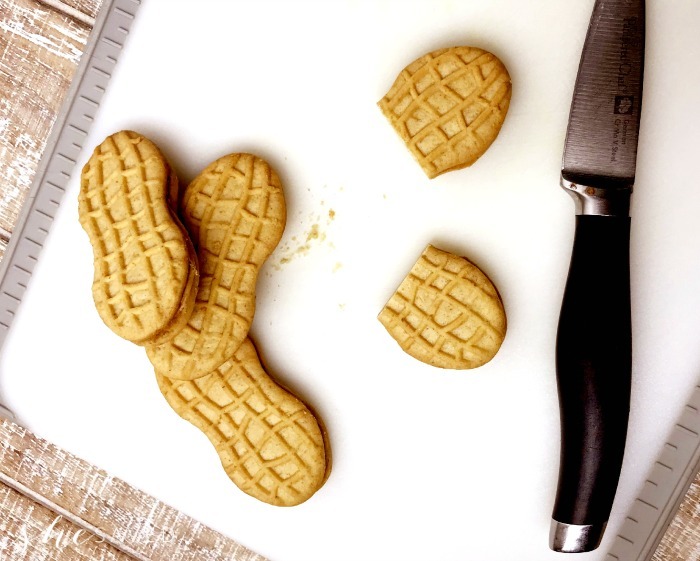 Carefully cut each Nutter Butter cookie in half using a sharp knife to create two acorn cookies from each Nutter Butter. In the microwave, melt the milk chocolate morsels in a small microwave-safe bowl on high in 30 second increments, stirring well between each cycle and giving special care not to overheat the candy. If the chocolate is overheated or comes in contact with water, it will seize up and be unusable. 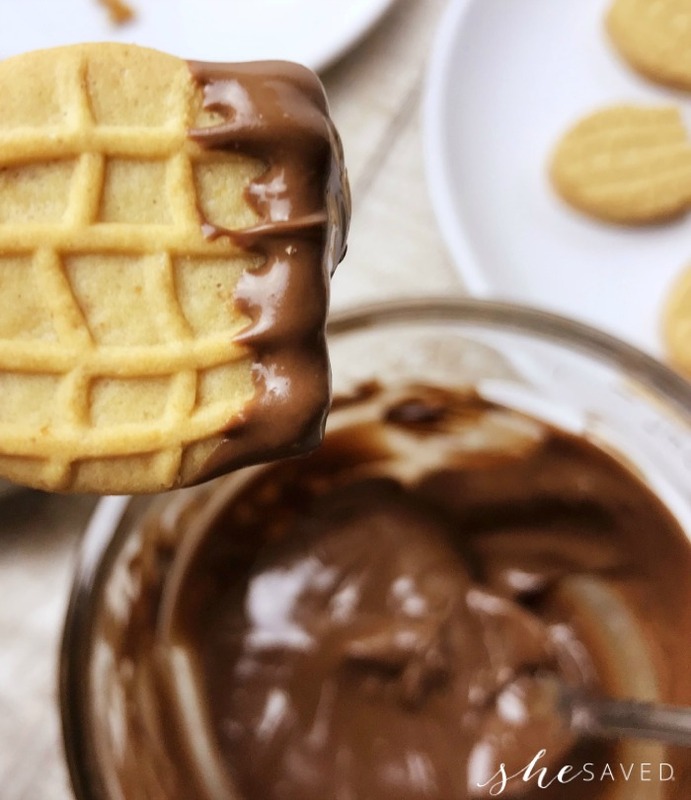 Dip the cut end of the Nutter Butter cookies into the melted chocolate to coat about ¼ inch of the cookie. Immediately dip in chocolate jimmies. Place a piece of pretzel stick into the middle of the cookie edge. You may need to shift the jimmies slightly to make space. If the pretzel piece will not stick, dip one end of the pretzel stick into the melted chocolate and attach again. Put the acorn cookie on the waxed paper. When all cookies are dipped and decorated, place in the refrigerator or freezer until the chocolate is set. These are just the cutest cookies ever!